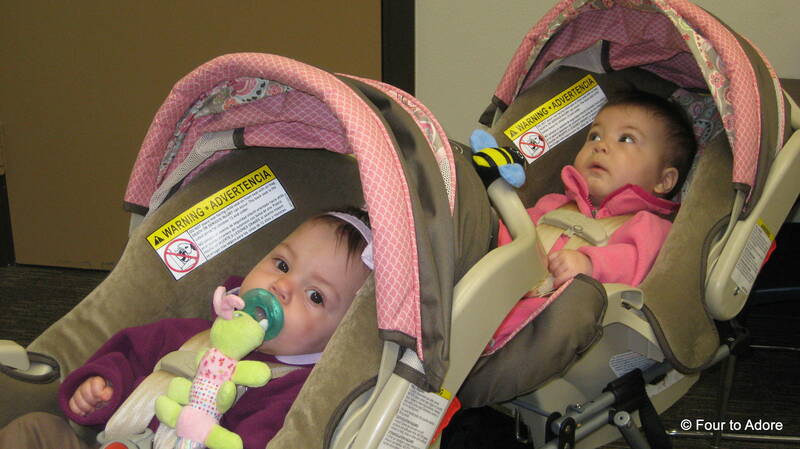 Back when the babies were in the NICU, they completed the usual newborn hearing screening. They all passed the screen at the time, but babies in the NICU for extended periods of time are at risk for hearing loss later. Therefore, a follow up appointment was made for them to occur at 9 months of age. The original screen was done in the wee hours of the morning while I was not at the NICU, thus the appointment was made for us. At the time I didn’t give it much thought. About a week prior, I realized it was for 8:00 am in a downtown office. This meant I had to get four babies up before daybreak, load them in the van, and haul them downtown in rush hour traffic for an appointment in an unfamiliar place. GULP! The mere thought was daunting! Furthermore, I got the lowdown on said appointment from a friend with triplets. She warned that it took her crew 30 minutes per ear and they got cranky with it being so early, not in tune with their normal schedule, ect. UGH! I did the math and it was grim. With eight ears at 30 minutes each, it would take four hours. I knew that there was NO way on earth any of us could handle four hours of hearing screens. Panic mode struck me. I called the clinic hoping to reschedule for a later appointment and/or possibly breaking it into two appointments. No avail. However, I was assured there would be two audiologists working that day. I accepted our fate and hatched the best plan I could muster. I am highly independent and care for the babies on my own the majority of the time, but for appointments like these I call for reinforcements. This time, my mom was able to lend a helping hand. The night before the appointment, we dressed the babies in pajamas that are onsies with footed pants (super cute and look like outfits) and brought their car seats into the nurseries. The next morning, Mom and I woke up just before six and got ourselves entirely ready to go. Next, we dropped bottles in the warmers while we made ourselves some coffee (gotta fuel the day!). After all bottles were heated we stored them in an insulated lunch bag and headed to get babies ready. 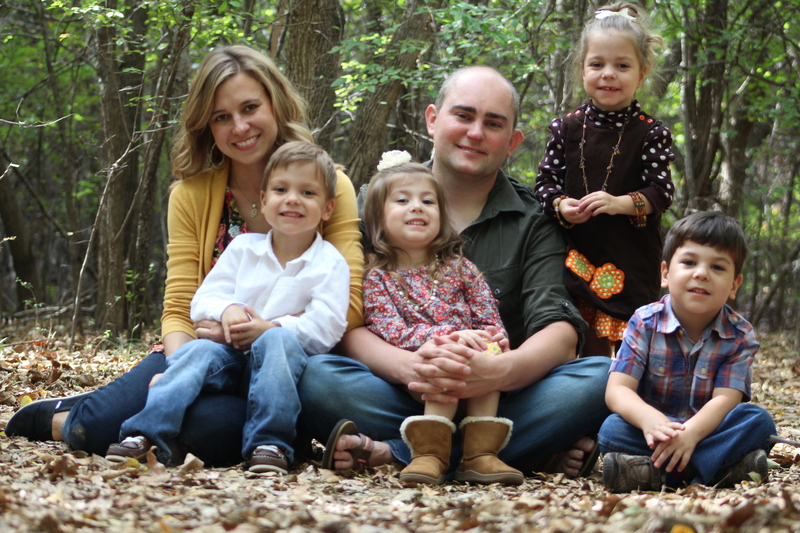 We each took a nursery where we quietly got babies out of beds and changed diapers, but not clothes. We were careful to use only night lights and keep noise to a minimum. Of course the babies woke up, but weren’t awake before we loaded them into the van. 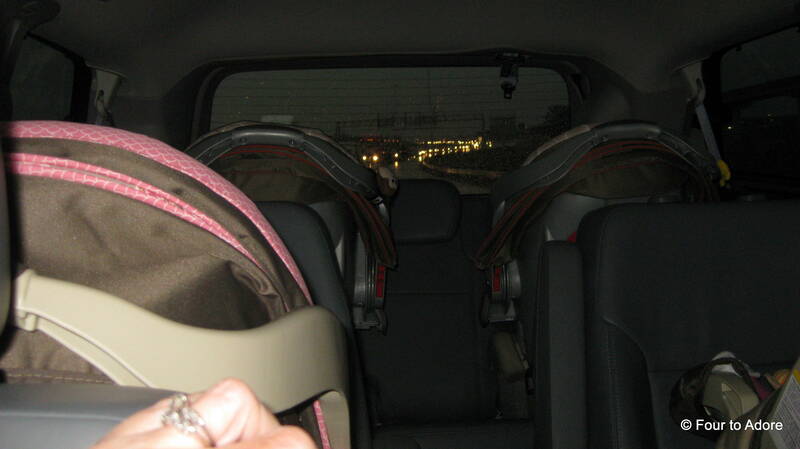 By 6:40 all babies were loaded into the van and we were on the road. Naturally, the day of this appointment was on one of the worst weather days of the year. We had a huge thunderstorm and chilly temps for April. 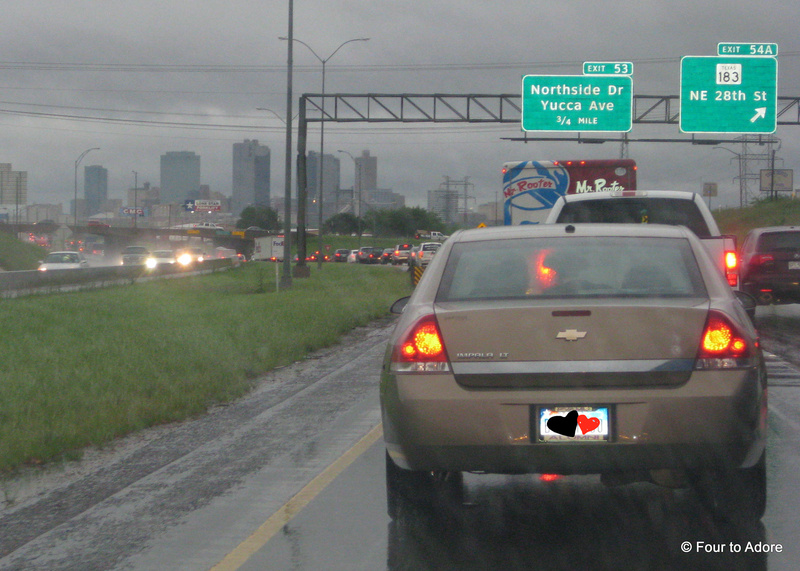 Anytime there is so much as drizzle on the highways around here, traffic stacks up for miles. We navigated rush hour gridlock for 80 minutes, but we reached the clinic right on time! Since the weather was dreary and damp, I pulled the van right to the door where mom and I loaded the babies into Snap ‘n’ Go strollers. Together we rolled the babies into the clinic where I checked in as mom distributed bottles. By the time I parked the van and filled out registration paperwork, the babies had drained their bottles. Because I called in advance, the clinic was prepared for us. In fact, the staff cheerily greeted us and complimented the babies numerous times on their behavior as well as their attire (yay jammies!). Everyone was so kind and accommodating for us. They separated the babies into two rooms with an audiologist and assistant in each room. Mom took the boys and I took the girls. This way, hearing tests were completed simultaneously. It ended up taking a little over an hour for all four hearing tests to be completed. Before leaving, we had to change a few diapers and take care of a few other housekeeping items, but we were back on the road by 9:45. Thankfully the weather improved drastically so we were back home before 10:30. The babies were easily back on schedule upon our return. The early bird appointment wasn’t horrible after all! When we left the house, it was pitch black outside, but a sea of headlights and taillights illuminated the highway. Gotta love rush hour in the rain! Wubbanubs always come along to doctor’s appointments because they help soothe fussy babies. The Snap ‘n’ Go strollers make it relatively easy to load and unload four babies. I’m dreading the day they all outgrow their car seats and we have to load them into different strollers from car seats. The babies are not used to watching TV so they were enamored with the TV in the waiting room. Offices are not behind schedule since they just opened! Staff is generally friendly and welcoming since they aren’t exhausted from a long day of appointments. Offices are freshly cleaned and therefore less likely to harbor germs. The babies start the day in pleasant moods, which tend to deteriorate as energy reserves deplete. Early appointments are less intrusive to the babies’ schedule and it’s relatively easy to get them back on track. This particular appointment preceded a rather busy weekend so stay tuned for the March of Dimes and NICU Reunion! P.S. We are now in 6th place for the Circle of Moms Top 25 Blogs list. You can vote every 24 hours until May 8 (one vote per device). It’s simple. Just click the badge below or on our side bar, then click “vote” under our picture. Oh yes, thank goodness for the village!